Based in Shreveport, we take on personal injury and death claims, civil and business transactions, successions, wills and estates, and criminal defense in the Shreveport and Bossier City Louisiana area. When you hire a personal injury lawyer as a result of someone else’s negligence, you need a lawyer who cares about your recovery and financial well-being. You can rely on our Shreveport personal injury lawyers to walk you through the entire legal system and make sure your best interests are being taken care of. We know that during the time of a personal injury it is a stressful time in your life. Let us handle the insurance companies and negotiating financial compensation. If you hire us, you will always get to speak with a Shreveport personal injury lawyer who knows the details of your case inside and out, and a lawyer who won’t keep you in the dark. Personal injury can come from a number of factors, such as a car accident, workplace injury, product liability, or professional negligence, among others. Greenwald Law Firm LLC is well equipped and staffed to handle all manner of personal injury cases within Shreveport, LA. You will receive a personal injury attorney who can help you restore your wealth and general well-being to the status before the injury. If you or your child is facing criminal charges, it makes perfect sense to talk to a criminal attorney who can provide legal advice, as well as defense in court. I have practiced criminal law at Greenwald Law Firm LLC and represented many clients within Shreveport, LA. I guarantee to do my best to execute the mandate you give me in court. Greenwald Law Firm LLC handles large and small successions throughout Louisiana, helping bereaved family and friends through the sensitive process of estate inheritance, following the loss of a loved one. Let me help you through this difficult time. A car accident can potentially change your entire life. Hopefully it is just temporary, but sometimes a car wreck and be permanent. A car accident could seriously impact you physically, emotionally as well as financially. You might find that you are un-able to work, or compete work related activities normally after a car accident. After a car accident, you need a lawyer who can help you bear some of the burden and help make sure the person or business responsible for your injuries and financial loss are held accountable. We will fight for you car crash injuries to make sure you are financially compensated fairly. At the Greenwald Law firm in Shreveport, we handle all the details of your case, from working with insurance adjusters, medical bills, the negligent parties as well as all the paperwork. All you have to do is keep us updated with your recovery and send us your medical bills so we can build the best possible case for you. At The Greenwald Law Firm we provide outstanding legal representation to people who have been injured in an accident or have suffered harm due to the negligence of a third party. As experienced experts in personal injury legal matters, we know what you are going through, and are here to walk with you and your loved ones through this difficult time. Our primary focus will always be, getting the best results for you. Whether you are looking for a Shreveport Louisiana personal injury accident lawyer, car accident lawyers or wrongful death lawyers in Shreveport Bossier Louisiana, our team will help you achieve the best result for your accident case. To do these items, we always tie our success to your success. 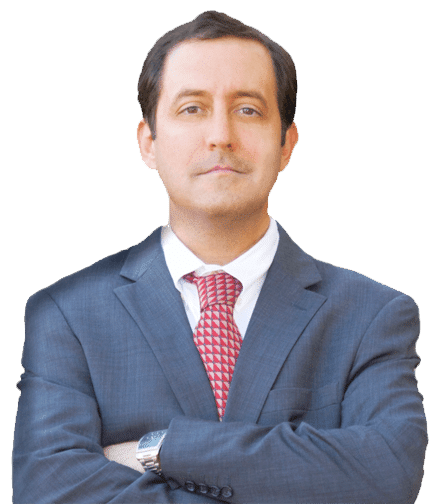 The lawyer team at the Greenwald Law Firm in Shreveport has the experience and resources that are needed to take on the biggest cases and get the best results. Our results have helped shaped our reputation as one of the best personal injury law lawyers in Shreveport-Bossier Louisiana. We are the Shreveport Personal Injury Lawyer to hire. What Potential Damages Can You Recover? Have you been injured as a result of someone else’s negligence? If so, then you’re entitled to compensation and require a personal injury lawyer. The State of Louisiana has laws in place that mean if someone causes you physical, mental, or financial harm, they are responsible for paying for the harm they caused. If you require a personal injury lawyer in Shreveport, contact the Greenwald Law Firm today. All areas of personal injury are covered, no matter how big or small the damages are. Have you, or someone you know, been injured in an 18 wheeler accident in Shreveport, LA? If so, it’s essential that you find the best legal representation possible. The owners of big trucks are usually large corporations with more than enough money to pay for top class legal assistance. You’re fighting a losing battle unless you hire an 18 wheeler accident lawyer today, and start getting the defense you deserve to win your case. If you’ve been injured in an aviation accident, then you need a personal injury lawyer to help fight your case and get you the compensation you deserve. Greenwald Law Firm LLC handles various aviation accident cases each year, ranging from private plane & helicopter crashes to commercial plane crashes. Attempting to fight your own case is ill-advised as aviation law is incredibly complex and can be hard to prove the pilot or commercial company were liable. However, with an experienced aviation accident lawyer in Shreveport, Louisiana, you’ll be in a far better position to win your battle. Louisiana is well known for its long stretches of water, with many residents choosing to pass their time out on boats in the lakes. As a result of this, it has one of the highest concentration of boating accidents in the country. If you’ve taken a trip out on a boat in Shreveport, LA and got into an accident, then you need a high-quality boating accident lawyer. If your accident was the result of someone else’s negligence and has left you or a fellow passenger injured, then you’re entitled to claim compensation that covers the cost of medical bills, wages lost from time off work, as well as general pain and suffering. If you or someone you know has suffered a brain or spinal cord injury, then you need legal help. These injuries are incredibly severe, over 50,000 people die each year after sustaining a traumatic brain injury while 30% of the 17,000 people with spinal cord injuries need to be re-hospitalized. Both injuries result in overwhelming medical bills that last for a long time until recovery is over. With a brain and spinal cord injury lawyer in Shreveport, you can claim damages if your injury came as the result of an accident that wasn’t your fault. The compensation you gain can cover your extensive medical bills, as well as help with rehab, counseling, additional care, and – in worst case scenarios – funeral costs. Burn injuries are common in Shreveport, LA due to the many oil fields and offshore drilling rigs. As a result of someone’s negligence, fires can occur, as well as explosions. If you sustain a burn injury, it can change your life forever and be a source of long-lasting pain. You have to pay for a lot of medical treatment and rehab, which can sometimes last for years. As a consequence, if you’ve suffered any type of burn injury, now is the time to hire a burn injury lawyer and reduce the negative impact the injury has on you and your family’s life. Car accidents are highly common as many people in Shreveport drive as part of their daily routine. Unfortunately, not everyone follows the rules of the road, and there are reckless drivers everywhere. Negligent drivers cause accidents, which can cause you and your family a lot of pain and suffering – both physically and financially. Hire an experienced car accident lawyer if you’ve been in a car accident that wasn’t your fault and have suffered damages. Construction workers are increasingly at risk of sustaining injuries on the job. One in five job-related deaths happens on construction sites. The state of Louisiana alone suffers hundreds of construction accidents each year. A lot of the time, these accidents aren’t the fault of the workers as there is negligence on site. This includes a lack of training, no safety demonstrations, poor working conditions, and much more. If you’ve been involved in a construction accident in Shreveport, LA, then you must hire an experienced and accomplished construction accident lawyer today. The majority of dogs are friendly and timid, but there are many owners with dangerous dogs that can attack innocent people when unprovoked. If this happens to you or someone you know, and you’ve been attacked by a dog, it’s important you get legal assistance. Dog attacks can cause physical pain that results in many medical bills and time off work. By hiring a dog attack injury lawyer in Shreveport, Louisiana, you can claim compensation against owners that fail to restrain their dogs. One-third of vehicular accident deaths are caused by drivers under the influence of alcohol. In Louisiana, there are thousands of drunk driving accidents each year. If a drunk driver ever affects your family, you must contact a Shreveport personal injury lawyer to help fight your legal battle. By claiming the compensation, you can gain money to pay for medical bills, property damage, or even funeral costs. There are an alarming amount of accidents each year caused by defective products. Whether it’s a motor vehicle or a children’s toy, harmful merchandise has the ability to affect you and your family. As a consumer, you have the right to file a class action lawsuit against any company that sells you harmful products. Hire a harmful merchandise lawyer in Shreveport, LA, and the lawsuit can be filed for you, and your case will be fought. Maritime workers have dangerous jobs working in tough conditions. If you’re a maritime worker and get into an accident, it can have serious consequences and put you out of work for the foreseeable future. It’s essential that you contact a maritime injury lawyer after an accident, as maritime law is very complex. These accidents are common in Shreveport and across Louisiana due to the large amount of off-shore work. Maritime accidents include shipping accidents, diving accidents, cruise ship accidents, and much more. More and more Americans are purchasing motorcycles each year, particularly in Shreveport, LA. As a consequence, there are now more and more motorcycle accidents on the road than ever before. Due to the nature of the vehicle, motorcycles are more prone to accidents and vulnerable to collisions. They’re much faster and harder to see than other motor vehicles, making it easy for a negligent driver to not notice a motorcycle and cause an accident. As a motorcyclist, you have the right to claim damages in the event of an accident with another motorist. Hire a professional motorcycle accident lawyer today to start your case. Looking for a job in the oil industry is extremely common for natives of Louisiana due to the booming industry. With millions of employees working in oilfields, the risks of oilfield injuries are higher than they’ve ever been. Often, the cause of oilfield injuries and accidents is professional negligence. Companies neglect to train their staff properly or fail to comply with safety regulations. If you’ve sustained an oilfield injury in Shreveport, LA, then it might not have been your fault. With an oilfield injury lawyer, you can fight your case and gain compensation for your troubles. If you’ve been hit by a motor vehicle, and are out of your car, then you’re in serious danger. Pedestrian accident injuries happen all the time due to the negligence of drivers. The injuries sustained in one of these accidents can be fatal. With the help of a pedestrian injury lawyer, you can fight for compensation in the event of an accident. If you live in Shreveport, LA and have been involved in a pedestrian accident, contact Greenwald Law Firm LLC today. It’s common knowledge that a lot of Louisiana properties have been contaminated due to all the oil and gas work in the state. Property contamination is a big issue as it can cause both physical and financial damage to your family. Unfortunately, contamination can be hard to detect, and it might be years before you realize your property is suffering. If you weren’t aware that your property was contaminated when you bought it, and have found evidence of contamination, you need a property contamination lawyer. Greenwald Law Firm handles all types of property contamination case in the Shreveport area. Property damage causes multiple problems for you and your family. For one, you have to deal with repairing your damaged property, which can cost a lot of money and be very time consuming when you have to contact your insurer. Furthermore, you could be injured as a result of the property damage, making everything much harder. More often than not, property damage occurs due to someone else’s negligence. If your property has been damaged in Shreveport, hire a property damage lawyer to claim compensation for the damages sustained. If you slip and fall on someone else’s premises, then you could be entitled to compensation. Louisiana state law indicates that property owners are responsible for keeping their premises safe and risk-free. These cases are incredibly hard to fight if you’re on your own. It’s likely the guilty party will do all they can to prove your accident wasn’t due to their premises. As such, proper legal representation is a must. If you are involved in a slip and fall accident in Shreveport LA and need a slip and fall injury lawyer, then contact the Greenwald Law Firm today. Louisiana is famous for its hot climate, which leaves many residents looking for ways to stay cool. As a result, the majority of people will spend their free time in pools or waterparks. While this is fun, swimming pools can be the scene of many accidents. Mos of the time, swimming pool accidents occur due to the negligence of the owner. Contact a Shreveport swimming pool accident lawyer today if you’ve been involved in an accident that wasn’t your fault. Train accidents aren’t that common, but they do occur and can be damaging. In Shreveport, Louisiana, there are often many freight trains carrying oil around the state. Consequently, these long trains can cause accidents with pedestrians or passengers on other trains. If you’ve been in a train accident, you need a train injury lawyer to talk you through the next steps and help you claim compensation. Wrongful deaths occur when someone is killed by someone else. If this has happened to a loved one, then you are eligible to contact a wrongful death lawyer and file a claim. It’s the law in Shreveport, Louisiana that surviving relatives can file these claims and gain compensation for their loss. The money you gain can go towards paying for costly funeral expenses and help you survive financially after your loss. There are many types of wrongful death, including; medical malpractice, workplace accidents, and assault. If you’re unsure whether your loved one suffered a wrongful death, please contact the Greenwald Law Firm, and your case will be discussed. The Journey following an accident can be very overwhelming. We understand the issues you face during these times and are here to walk with you throughout this difficult time. We will be there to help you deal with insurance companies, doctors, hospitals, repair shops, as well as the difficult legal system so you or your loved ones can focus on recovering from your injury.